September's lingering summer glow shines even brighter as the peak crowds fade. Late sunsets and balmy temperatures still warm your skin as autumn approaches. And orange skies bring views of idyllic harmony in evening tranquillity. Temperatures of up to 28°C caress many villa holiday destinations at this time of year – without the sizzling heat of mid-summer. It's no surprise that September is seen by many as the perfect holiday month! Dive into our guide below, and discover your September villa holiday paradise. Find your holiday haven in the irresistible Côte D’Azur. 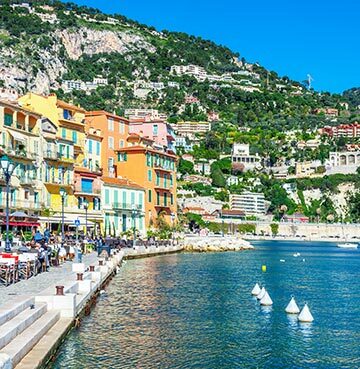 Fame and glamour meet history and natural beauty along this strip of magnificent French coastline. A true essence of France radiates through the entire region, and you’ll feel this with all your senses as soon as you arrive. With temperatures of 24°C in September, it’s an idyllic month to be lured by the romance once the summer crowds are gone. Live the lifestyle you’ve been dreaming of, as bustling modern markets sit among hip boutiques and designer shops. Rustic walkways are lined with stone terraced buildings, reflecting sunlight onto purple plants in perfect harmony. Windows peer through blue shutters onto streets oozing French pride and culture. Striking buildings are there to be marvelled at, as intriguing Roman ruins perch on hilltops overlooking shimmering blue sea. These mesmerising visions draw holidaymakers, artists and celebrities who adore its colourful setting. Côte D’Azur is home to France’s first vineyard, and glitters with striking lavender fields. You’ll be left in awe of the vision of violet before your eyes. Be dazzled even further with a sip or more of local French wine! Complementing a fiery feast with a Mediterranean twist. Bon Appetit! The gorgeous Greek haven of Kefalonia is a captivating combination of beaches, meadows, vineyards and coves. A laidback nature hugs the island from coast to coast. This relaxed vibe is even more present in September, with temperatures clinging to an inviting 27°C. Holidays of serenity and relaxation await on the iconic beaches of Myrtos and Skala. Picture untouched white sands calling your name, tempting you for a day of pure bliss. Top up your tan and cool off in calm crystal waters. These paradise scenes amaze any visitor with unbeatable natural beauty. You’ll have to see it to believe it! 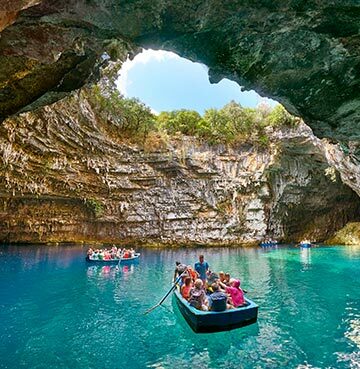 Satisfy your craving for adventure at Melissani Cave, where a true miracle of nature awaits. Magnificent mystery unfolds as you float on a little sailing boat into a world of discovery. A carved archway funnels sunlight, pouring it through onto calm emerald waters. Or perhaps the Drogarati Cave wins the contest for your attention? Lingering stalagmites form an intriguing view, with dripping rain water creating an eerie echo as it hits water below. Why not visit both during your September villa holiday? Charismatic and colourful, the Amalfi Coast is a wonder to behold. Pastel coloured buildings line rocky inlets, awash with olive groves and lemon terraces. Whitewashed houses reflect the sun in a bright explosion against crisp blue ocean. Recognised for its beauty by UNESCO, it attracts admirers from all corners of the globe – why not dive into your own adventure in this Italian classic? Visiting Sorrento promises to enrich your Italian escape, and the famous Pompeii opens up a world of intriguing Roman history. In September, fall into balmy nights and bathe in pleasantly warm sea waters. Calmer streets and the inviting haze of an autumnal glow make it an idyllic villa holiday destination. Sit back while taking in your rustic surroundings, sipping on local fruity wine and unwinding in ‘La dolce vita’ (the sweet life)! Create those villa holiday moments you’ve been longing for. 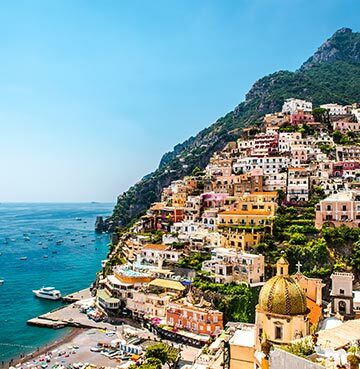 With so much to fill your itinerary, the Amalfi Coast is an inviting haven for those romantic getaways, family breaks or adventures with friends.